The Department of Veterans Affairs (VA) will sponsor the 5th annual National Veterans Small Business Engagement (NVSBE), November 17–19, 2015, at the David L. Lawrence Convention Center in Pittsburgh, PA. This premier event for Veteran-Owned Small Businesses provides the opportunity to learn from federal and commercial procurement decision makers the most effective ways to compete for and win federal contracts. More than 400 exhibitors and 25 government agencies will also participate in the event. The 2015 theme, ACCESS, is focused on promoting and supporting Veteran-Owned Small Businesses’ access to economic opportunities. Featured speakers include: VA Secretary Robert A. McDonald, General Dennis L. Via, Administrator of the U.S. Small Business Administration Maria Contreras-Sweet, and Lockheed Martin’s Vice President of the Health & Life Sciences, Horace Blackman. For details about the 5th annual NVSBE, visit www.nvsbe.com. The agenda includes: Doing Business through USAID, New Veterans Small Business Coalition, VA Veterans National Small Business Conference – Pittsburgh, Doing Business with WMATA, and Kingdomware at the Supreme Court. National Small Business Week 2015 was May 4th-8th. It included major events in Miami, Los Angeles, San Antonio, New York and Washington D.C. This year’s theme was “Dream Big. Start Small.” The annual week of celebration, education and recognition is a yearly opportunity to honor the 28 million small businesses and renew our national commitment to fostering the entrepreneurial spirit that is central to the American dream. On May 8th, National Small Business Week 2015 concluded with an awards ceremony at the White House. 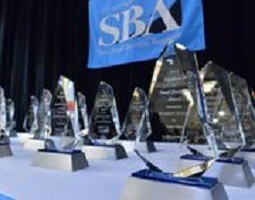 At the ceremony, several small business owners, entrepreneurs, lenders, and supporters were recognized by the U.S. Small Business Administration (SBA). One of the awardees was RTH Mechanical Contractors, Inc., winning National Sub-Contractor of the Year. RTH is a Veteran-owned mechanical and general contracting company, servicing clients primarily in New Hampshire, Maine and Vermont for more than 28 years. Some of the services that RTH provides include pipefitting, plumbing and med gas. RTH received more than $12 million in subcontracts to provide plumbing, mechanical ductwork and rooftop HVAC. The work included emergency repairs to mission critical design-build activities for the Portsmouth Naval Shipyard and New Boston AFS for the ECC corporation, its prime contractor. Other clients of RTH include the U.S. Departments of Navy, Army, and Coast Guard, the New Hampshire Air National Guard, Bath Iron Works Facility, Veterans Administration, Dartmouth College, University of New Hampshire, and the New Hampshire Department of Transportation. We at VAMBOA would like to congratulate RTH Mechanical Contractors, Inc. the National Sub-Contractor of the Year. We would also like to encourage all VAMBOA members to keep an eye out in December for notices about the 2016 nominations. Be sure to nominate yourself, your company, your lender, or any agency/organization that has helped you and your small business succeed. 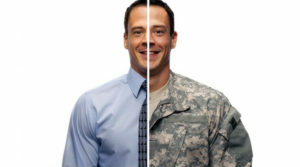 The Veteran and Military Business Owners Association (VAMBOA) is a non-profit business trade association that promotes and assists Veteran Business Owners, Service Disabled Veteran Owned Businesses (SDVOB) and Military Business Owners. Small businesses are the backbone of our economy and responsible for job generation. That is why VAMBOA provides its members withBusiness Coaching, Contracting Opportunities, a Blog that provides information, Networking contacts and other resources. Membership is FREE to Veterans. Join Now! 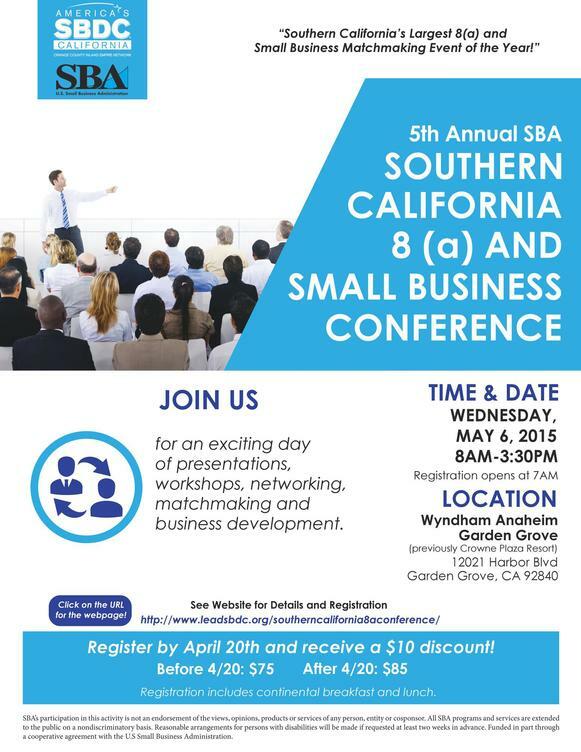 Don’t Miss the Southern California 8(a) and Small Business Government Contracting Conference! PLEASE NOTE: The correct date of the conference is May 6th. A previous message erroneously had the date as May 2nd. The correct date is May 6th. This year’s 5th Annual SBA Southern California 8(a) and Small Business Conference promises to be the biggest and best ever. Conference attendees can count on learning from a full range of informative and engaging workshops offering insights, tools, and hands-on learning experiences for 8(a) and non-8(a) certified small businesses. For government contracting novices, workshops will explain certification, getting started in federal procurement, writing a compelling capabilities statement, and accessing financing, including SBA-backed loans. For growing government contractors, seminars will look at honing your marketing tools, learning insider tips from contracting officers and consultants, exploring teaming opportunities, and more. For established government contractors, workshops will include procurement forecasts from local buying activities, expanding commercial opportunities through prime contractors, and a discussion on new government contracting initiatives that affect small businesses. Every business participating in the conference will be able to take advantage of one-on-one matchmaking appointments with corporate and government buyers and incredible networking opportunities, right here in Orange County. There aren’t many opportunities to attend events focused on Federal government procurement here on the West Coast, so register today to reserve yourself a seat at the 5th Annual SBA Southern California 8(a) and Small Business Conference! the rules of the game is essential! access the supplemental regulations of each federal agency, and much more. confirmation email containing information about joining the webinar. worked as a buyer for the U.S. Navy, City of Vancouver Washington, and the U.S.
Veterans Business Development Officer, and Primary HUBZone Liaison. Small Business Development Centers (SBDCs), and SCORE.